Third squad detectives are investigating a Robbery that occurred on November 27, 2013 at 4:26 pm in East Garden City. East Garden City, NY - November 28th, 2013 - Third squad detectives are investigating a Robbery that occurred on November 27, 2013 at 4:26 pm in East Garden City. According to detectives, after exiting the Roosevelt Field Mall, 630 Old Country Road and placing an X-Box video game system in the trunk of his car which was parked in the mall parking garage, two unknown male blacks, both who were in their 20’s, approached the 39 year old male victim, displayed a silver handgun and forced the victim to open his trunk. After complying with their demands, the subjects removed the game system and fled the scene in an unknown direction. The uninjured victim was unable to further describe the two subjects. Detectives request anyone with information to call Crime Stoppers at 1-800-244-TIPS. All callers will remain anonymous. 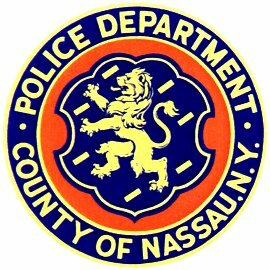 Subject: LongIsland.com - Your Name sent you Article details of "NCPD Crime Alert: XBox Stolen from Man in Roosevelt Field Mall Parking Lot"